Founded in 2005, Scratch Farm is a small-scale vegetable, berry, flower, and culinary herb farm located 9 miles west of Providence, in Cranston, at Urban Edge Farm. We do not use any pesticides, herbicides, fungicides, or chemical fertilizers. We hope to grow as much food as possible on our two acres while simultaneously taking care of the soil, ourselves, our customers, and our friends. 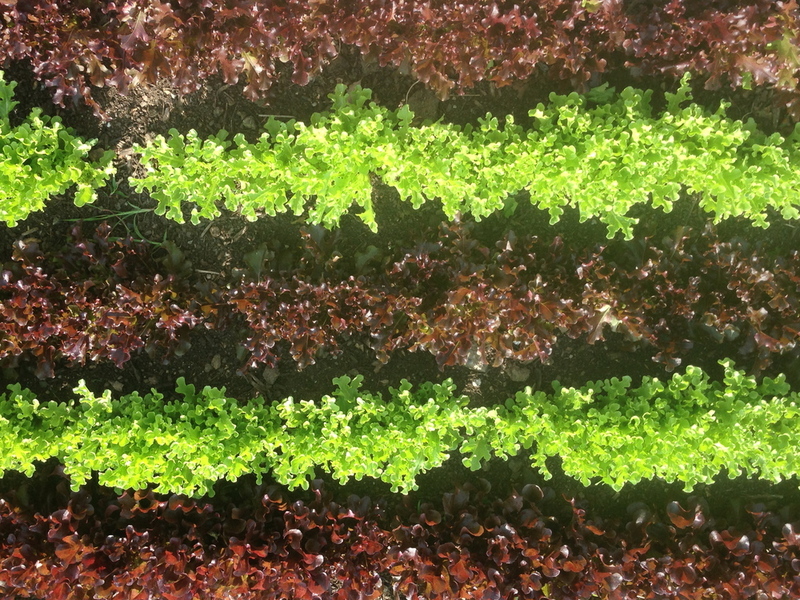 We sell primarily through our 100 member CSA, but also to restaurants through Little City Growers. Scratch Farm is run by Ben Torpey with the help of two full-time apprentices, a half dozen work shares and many volunteers. Ben has been growing vegetables full time since 2005, and at Scratch Farm since 2012. Katie Miller, the long-time soul and steward of Scratch Farm, is on sabbatical for the 2015 season to travel the country learning about seed breeding. CSA stands for Community Supported Agriculture. It is a way for farms to sell directly to customers. Each CSA farm organizes their CSA a little differently, but most CSAs ask customers to pay ahead of time for a weekly share of the harvest. At Scratch, this model allows us to do all of our marketing in the winter when we have time, and ensures that we are able to sell all of our produce, because it is already sold. This frees us up to focus on what we love and are good at...farming! Paying up front if you are able is great; it allows us more capital for bigger expenses in the winter and early spring when larger conventional farms are taking out bank loans. When you join our CSA, you become a shareholder in the farm for a season. Your membership directly supports the farm’s operation and entitles you to a weekly share of our produce. As a CSA member, you also ensure the livelihood of small-scale organic farming in Rhode Island and actively support a local economy that promotes both agricultural and economic sustainability. Our CSA members pay on a sliding scale in order to make it affordable to as many people as possible. To join we ask members to pay a $50 deposit, then pay the rest in at most two installments, one at the first CSA pickup, the last half-way through the season. The CSA season lasts twenty-five weeks, from June 9th through November 24th. Full shares (for 3-4 adults) are available on a sliding scale from $600-$850. Half shares (for one or two people) are available for $350-$600. We also offer additional shares of meat, cheese, eggs, pickles, and fruit, details are on our member contract. By using a sliding scale we hope to attract customers who otherwise would not be able to afford a share and may never be exposed to the delights of directly supporting a small farm. If you have the ability to pay the maximum amount please do, you will be directly subsidizing low income shares. Each week you will receive a portion of all that’s ripe and ready in our fields. Due to the nature of the growing season, shares will be lighter in the spring and heavier in summer and fall. While content will vary from June to November, we estimate we’ll have 7-11 different items each week, with plenty of weekly favorites and some delectable rarities. Produce pickup will be Monday afternoons, 4-7 pm, in the Armory neighborhood of Providence at 186 Carpenter St.
pond and up the hill. out to help, call or email us to set up a time that works. to build community while having fun working on the farm. are welcome to join us. orientation based on their bodies or self-presentation. We look forward to seeing you out at the farm! beneficial microorganisms are encouraged to flourish.